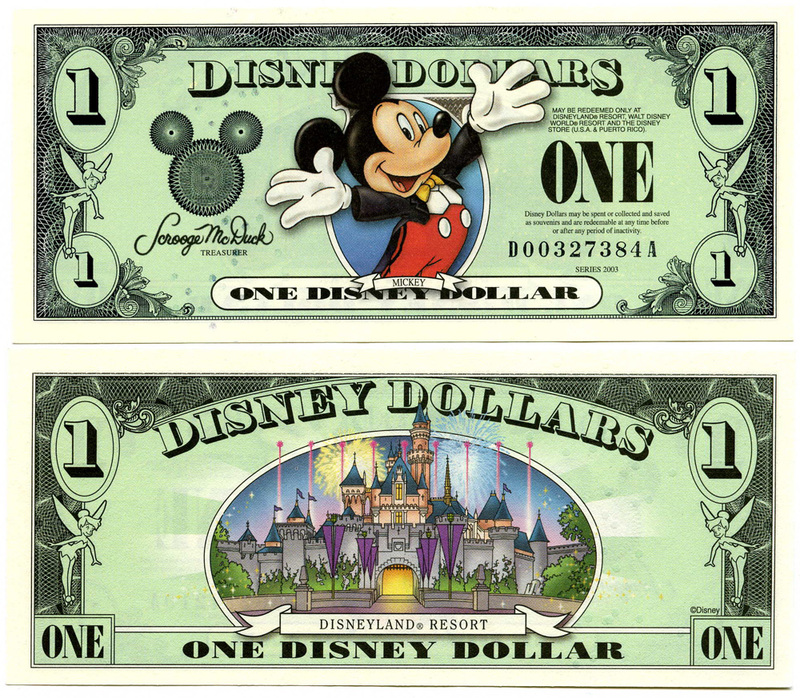 Disneyland introduced Disney Dollars in early 1987, while Walt Disney World introduced them later that year, Eventually, they could be used at Disneyland, Disney World, on a Disney Cruise at at all Disney Stores, plus probably a few more places. Face it, the idea was brilliant. You gave Disney a real dollar in exchange for a fake dollar that was only good at Disney. Many people purchased them for souvenirs or gifts, and many of those purchased pieces of paper never made their way back to Disney. Recently, Disney has not advertised that Disney Dollars still existed, as they came up with a better replacement, Disney gift cards. Just as with Disney paper money, Disney Gift Cards are only good at Disney, and many of those gift cards or lost or never returned. You can even buy themed Disney gift cards throughout the year at such events as the Ecpot Flower and Garden Festival, Epcot Food and Wine Festival and other events. Even Aulani and the Disney Cruise have their very own cards. Think about the physical Disney Dollars for a minute, there must be a significant cost to print new Disney Dollars, as they must contain many security features as to not be counterfeited. Disney Gift Cards on the other hand are much more secure, can be sold at thousands of places outside of Disney, and are much easier to spend, have you ever tried to pay for something online with a Disney Dollar? Disney abandoned Disney Dollars years ago, and I am sure they have just been selling remaining stock. The $1 Disney Dollar has not been updated since 2005! Disney Dollars exist, and you can still buy them. 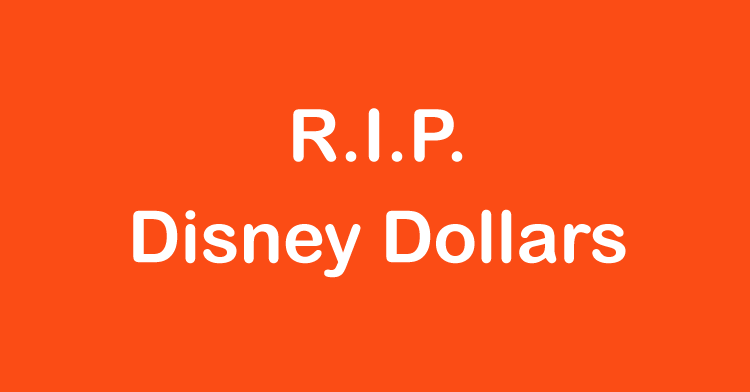 To clarify, Disney Dollars are available today, but will no longer exist as of Saturday, May 14, 2016. If you want to grab some Disney Dollars as souvenirs, get yourself to a Disney park ASAP, you only have a few days. You can also order them by calling Disney at (407) 566-4985. While I will be sad to see Disney Dollars go, everyone pretty much thought they were gone long ago. Will you miss Disney Dollars?